· In the television story The Time Monster what was TOMTIT? · Who is attempting to penetrate the Earths crust in Inferno? · What relation is James Lethbridge-Stewart to the Brigadier? · What does UNIT stand for? 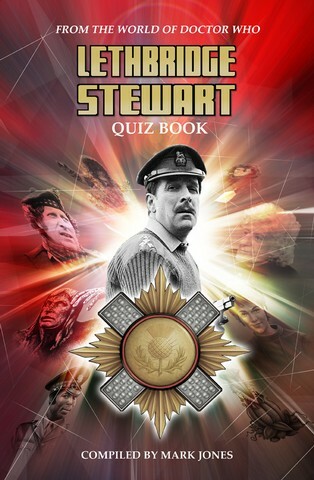 The Lethbridge-Stewart Quiz Book features questions from the Target, Virgin and BBC novels, the Big Finish and BBC audio stories, comic strips and the Candy Jar Lethbridge-Stewart novels. The Lethbridge-Stewart Quiz Book is currently only available from the Candy Jar website, for £8.99 (+ p&p). Buy five books get the sixth free for the reduced price of £45. Subscriptions started in 2016 will receive the six books released in 2016. Minimum 12-month subscription required. Paid in two installments: First installment [£22.50] will be taken upon placement of order, and second installment [£22.50] will be taken six months later. If you wish to cancel your subscription, you must do so one month before renewal, after which the next installment will be taken for the 2017 series of books. Unfortunately this is only available to customers in the UK. Candy Jar is delighted to now offer a subscription for our international customers. Buy five books get the sixth free for the reduced price of £85. This subscription will include the six books due to be released in 2017 (titles to be announced). Minimum 12-month subscription required. Paid in two installments: First installment [£42.50] will be taken upon placement of order, and second installment [£42.50] will be taken six months later. If you wish to cancel your subscription, you must do so one month before renewal, after which the next installment will be taken for the 2018 series of books. *At this time the International Subscription excludes Australia, Belau, British Indian Ocean Territory, Christmas Island (Indian Ocean and Pacific Ocean), Cocos Island, Cook Island, Coral Sea Island, Fiji, French Polynesia, French South Antartic Territory, Keeling, Kiribati, Macao, Nauru Island, New Caledonia, New Zealand, New Zealand Antarctic Territories, Niue Island, Norfolk Island, Norwegian Antarctic Territory, Papua New Guinea, People's Democratic Republic of Laos, Pitcairn Island, Republic of Singapore, Solomon Islands, Tahiti, Tokelau Islands, Tonga, Tuvalu, US Samoa and Western Samoa.